Or, How Microsoft Almost Didn’t Happen. It’s counterintuitive to sell something you don’t have. Most people start a business by building or buying something, and then they try to bring in sales afterwards. Sometimes they succeed. A lot of times they don’t. To ensure success, you have to sell first, raise capital, and then make your purchases. Here’s a very famous story. If you’ve heard it before, read it now with the perspective that putting sales first always wins. In 1980, IBM approached Bill Gates to provide an operating system for their new personal desktop computers. The fledgling Microsoft didn’t even have an operating system to sell them, and sent IBM to a company called Digital Research. This was a huge mistake. The idea, which most people have, that you need to have something to sell before you can make a sale, almost rewrote history. Fortunately for Microsoft, IBM and Digital Research could not reach an agreement so IBM approached Microsoft again. This time Bill Gates said yes. He still didn’t have an OS, but he had a customer. So he purchased an OS from a company called Seattle Computer Products to fulfill the contract. That OS eventually became MS-DOS and then evolved to become Microsoft Windows. 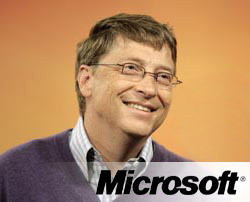 Bill Gates became the wealthiest man in the world because he made the sale before the purchase. Companies that sell first know how much capital they need to conduct business, and how much they can purchase and still make a profit. Any type of business can practice sales, capital, purchasing in that order. I have a friend who invests in rental properties. When she finds a property she likes, she advertises the property in the “for rent” section of the paper to see how many calls she gets. If she gets multiple calls, then she knows the location is good, her asking price is good, and she swoops in and buys the property. She already has a list of tenants wanting to move in when she buys the property. Department stores and boutiques sell gift cards or certificates. There’s a time lapse between when the gift card is purchased and when it is redeemed. They get to make interest from banking that money during the time lapse. It’s an extra income stream. During the holiday season, they can purchase a lower amount of inventory because a certain amount of their sales will be in the form of gift cards. They can purchase more inventory later, when the cards will be used. And some of the cards will be lost or forgotten and never redeemed. Outlet warehouses, golf courses, and fitness centers sell club memberships. They get cash up front for services that they provide later. All these businesses have a certain percentage of customers that use the membership sparingly, or even not at all. That’s money for nothing. Hotels and restaurants require you to make reservations. Their fixed overhead costs are the same, but they can hire more staff and buy more food when demand is high. They purchase according to sales. Preorder your copy of that new bestselling novel before it hits the shelves or that Academy Award winning DVD. Experienced sellers know that a certain number of pre-sales equals a specific number of off-the-shelf sales once the item is released. They know how many they need to purchase. That’s sales before purchasing. Manufacturers pursue sales contracts. Supplier agreements lock in volume forecasts and pricing for a specified time period. The manufacturer purchases as needed to fulfill the forecasted demand. Some business people like to buy an existing business rather than starting one from scratch. A failing business can often be purchased for a bargain. The first thing smart buyers look at is sales potential. If the company has great sales but can’t get costs under control, they look to see if they can cut costs to make the business profitable. If the sales are bad, they look to see if they can increase the sales with their expertise, and connections to other businesses. This is why management usually changes when a business is sold. The new owners have the right people, and they have a sales plan. When they know they can get the sales, then and only then, they raise the capital and purchase the company. When a company has trouble raising capital, it’s because lenders or investors don’t have confidence in the company to get the sales to pay back the debt or make a return on the investment. It’s that simple. If you can secure sales first, people will throw money at you. And then you can purchase exactly what you need to fulfill the sales, and not more than the sales support. A sale is never completed until the transaction is completed and payment is received, but securing the sale, with memberships, supplier agreements, and other mechanisms gives a company a huge advantage, even if only a portion of their sales come through. Utilizing sales, capital, purchasing in that order means that you start small, suffer through the growing pains, and best of all, succeed.